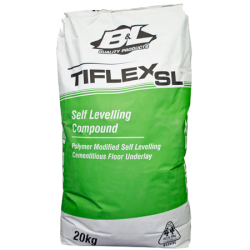 TIFLEX-SL™ is a rapid hardening self-levelling single component cementitious underlay. TIFLEX -SL™ has been formulated to achieve a smooth flat surface with ease of application and maximum flow without any shrinkage or cracking. TIFLEX-GP is a multipurpose non-shrink Class A cementitious grout complying with requirements of SAA MP20 part 3. 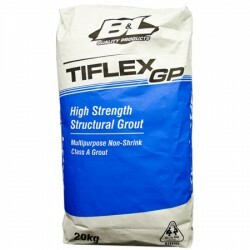 TIFLEX-GP is based on Portland cement, graded aggregate and chemical additives which impart controlled expansion whilst in the plastic state. The gaseous expansion system compensates for shrinkage and settlement in the plastic state. TIFLEX-GP is supplied as a ready to use dry powder requiring only the addition of a controlled amount of clean water to produce a free flowing non-shrink grout a gap thickness of 10mm to 120mm in a single application. Fairing Coat is a polymer modified fine feathering mortar for applications in thin layers to produce a natural concrete grey appearance to concrete or masonry surfaces. It can be applied up to a maximum thickness of 3mm. Fairing Coat is based on hydraulic binders, high-grade quartz sand and synthetic polymers, and is shrinkage compensated. APTC Light Weight Patch is a grey coloured patching mortar with excellent adhesion to most substrates. It is formulated with inert mineral fillers of low density that provide very high thermal protection to repairs. APTC Light Weight Patch can be applied up to 75mm thickness in one operation without slumping and with negligible shrinkage.